How to play $5 Big Spin Instant Lotto in Ontario? Big Spin is the $5 Instant game brought to you by OLG lotteries where you can win up to $500,000! There are three ways to win this game. Simply scratch to win an instant cash prize from $5 to $100,000 or a Spin prize. You can watch the “SPIN” on the lottery terminal in store and win a guaranteed prize from $10 to $10,000 or a Big Spin and you can spin The Big Spin Wheel for a guaranteed prize from $100,000 to $500,000. How to play Big Spin $5 game in Ontario? To play Big Spin $5 you need is to first buy a ticket from your nearest retailer. The ticket costs $5 per play and there are Eight (8) BIG SPIN Top Prizes available in the game. You win as said above by scratching and if any one of YOUR NUMBERS exactly matches one of the LUCKY NUMBERS, you win the corresponding prize from $5 to $100,000 or a SPIN prize. Or you win by simply watching if the prize won is “SPIN”, watch the animated wheel spin on the customer display unit to reveal your prize from $10 to $10,000 or a BIG SPIN. You also win if you spin if the prize won is BIG SPIN, you win a spin on the real BIG SPIN wheel at the OLG Prize Centre in Toronto for a guaranteed prize of $100,000 to $500,000. How to know if you have won? Visit your lottery retailer to validate your ticket and see if you have won. If you’ve won a “SPIN”, watch the animated wheel spin on the lottery terminal’s customer display unit (CDU). If the retailer can pay your prize (not more than $1000 at the retailer), he or she will tear through the bar code of your paid-out ticket, and return the validated ticket to you along with the corresponding Customer Receipt. If the CDU lands on “BIG SPIN” the lottery terminal will freeze while the OLG Support Centre contacts the retail location to speak to the customer. Note: Those who have qualified to participate in a BIG SPIN Event by playing The BIG SPIN INSTANT game must contact the OLG Prize Centre in advance to make arrangements for the prize claim process and participation in a BIG SPIN Event. Odds of winning any INSTANT cash prize are 1 in 8.35. How to check the results of Big Spin? Like with all other OLG lottery tickets, you can scan your ticket in the ticket checker at a lottery retailer or by using the OLG Lottery App to see if it is a winner. If “SPIN WIN” appears on the ticket checker or on the OLG Lottery App after scanning your ticket, you win a guaranteed prize ranging from $10 to $10,000 or a BIG SPIN. As said above if “SPIN WIN” appears on the screen, you have won a SPIN prize to be played out on the customer display unit at the retailer. You can visit your lottery retailer to validate your ticket and watch the animated wheel spin on the lottery terminal screen (CDU) to find out the value of your prize. On the animated wheel If the animated wheel stops on “BIG SPIN,” you have won a spin on THE BIG SPIN Wheel at the OLG Prize Centre for a guaranteed prize of $100,000 to $500,000! BIG SPIN prizes are the top prizes for THE BIG SPIN INSTANT game. In the BIG SPIN EVENT when a player wins a top prize – a BIG SPIN – they will be invited to participate in a BIG SPIN Event at the OLG Prize Centre in Toronto. 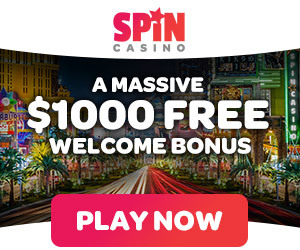 After completing the prize claim process, the winner will have the opportunity to spin THE BIG SPIN Wheel and win a guaranteed prize of $100,000 to $500,000. It will take two days to complete the prize claim process for a BIG SPIN prize. On the first day, the winner will arrive at the Prize Centre and proceed through the claim process which typically takes a few hours. The winner will stay overnight in Toronto and return to the Prize Centre the next day to participate in a BIG SPIN Event and spin the wheel. As said ablve the game has cash prizes from $5 to $100,000 as well as SPIN prizes. SPIN prizes, which play out on the CDU, range from $10 to $10,000 or a BIG SPIN, which is the top prize for this game. Customers who win a BIG SPIN get to spin THE BIG SPIN Wheel at the OLG Prize Centre to win a guaranteed prize from $100,000 to $500,000. If you win $1,000 or more, you must complete a Lottery Prize Claim Declaration Form. This applies to both single and group play wins. All prize claim documentation must include the claimant’s legal first and last name as shown on the valid government issued identification that will be presented with the claim documentation. Once received at OLG, winning tickets and tickets that are damaged cannot be returned to the claimant. Also the winner will be contacted by an OLG Prize Centre representative, at which point they will be able to discuss all of the details involved and determine when would be best to attend the Prize Centre and claim the prize. ← What is Extra and which Canadian lotteries have Extras to play? Canadian Lotteries- Are the winnings taxed? June 4, 2016 Kamal Kaur Comments Off on Canadian Lotteries- Are the winnings taxed?